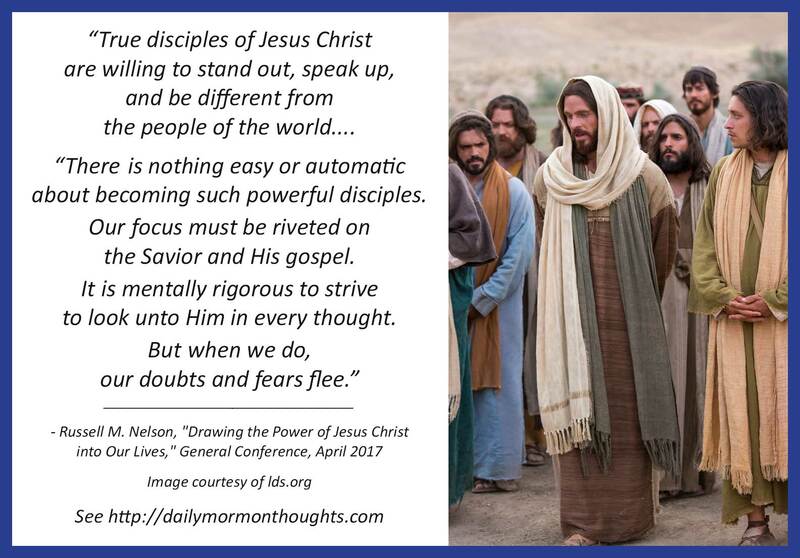 "As we invest time in learning about the Savior and His atoning sacrifice, we are drawn to participate in another key element to accessing His power: we choose to have faith in Him and follow Him. "True disciples of Jesus Christ are willing to stand out, speak up, and be different from the people of the world. They are undaunted, devoted, and courageous. I learned of such disciples during a recent assignment in Mexico, where I met with government officials as well as leaders of other religious denominations. Each thanked me for our members’ heroic and successful efforts to protect and preserve strong marriages and families in their country. 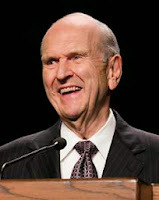 "Faith in Jesus Christ propels us to do things we otherwise would not do. Faith that motivates us to action gives us more access to His power." Such beautiful promises! But it's not "easy or automatic"—we certainly must choose to have that happen in our lives as our focus is "riveted on the Savior and His gospel." A true disciple finds himself able "to do things we otherwise would not do" as we find power in Jesus Christ. That should be the quest of every humble seeker for truth!